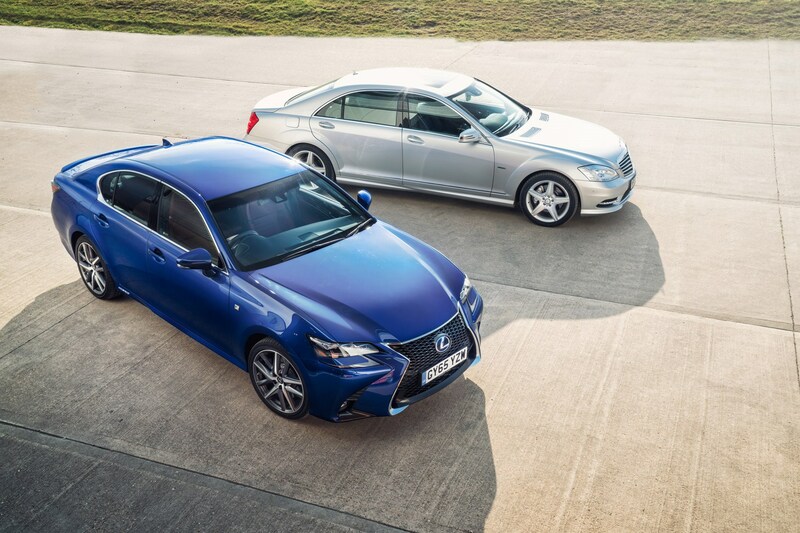 ► Hybrid Lexus or diesel Mercedes? Mercedes S-class (2006-2013) Save £39k! So you’re looking for a little luxury? How about a lot, in the form of the previous generation Mercedes S-class, which could be on your drive for less than the price of a new 3-series, or the current Lexus GS450h, which delivers hybrid karma, 155mph performance and an interior so nice you’ll be asking to work from your car. Just think: you might be perfectly happy with a 320d, but might you not be happier still in the biggest Benz for considerably less money? (Even though some of the savings are almosy certainly best put aside for the day Something Significant goes wrong…). For the W221 (Mercedes’ official designation for the 2006-2013 S-class) the Stuttgart limo company had a point to prove. The preceding W220 might have looked every inch the presidential express, but they all too quickly garnered a reputation for slightly shoddy build, troublesome Airmatic air suspension and, incredibly, rust. The W221 isn’t as achingly high-tech as the succeeding W222, but there were myriad toys, including one of the very first autonomous braking systems and night vision on the options list. Available in standard and long-wheelbase versions, the most sensible engine choice is the 3.0-litre V6 turbodiesel – but if you want an exotic cylinder count and aren’t too proud to support your local petrol station there’s always the S600 biturbo V12, or the AMG models. A facelift in 2009 tweaked the dynamics, increased the efficiency and turbocharged the toy count, but visually the differences are nothing a private plate won’t dissemble. The interior hasn’t aged especially well, but ride and refinement remain first rate; if they aren’t you’d best establish exactly why before handing over the hard earned. Lexus GS450h (2012-on) From £24k! On sale in the UK from 2012, the L10 Lexus GS450h launched alongside a non-hybrid 2.5-litre petrol V6 badged GS250, subsequently ousted by the hybrid GS300h 2.5-litre four-pot. But the full-fat GS450h is definitely the one you want; amping a 3.5-litre V6 with an electric motor to achieve 338bhp, 0-62mph in 5.9sec and the aforementioned 155mph top speed, this is a marvellously leftfield executive chariot that doesn’t demand much compromise over the predictable Germans. Although to be clear, even with all that electric motor assistance you shouldn’t expect fuel economy to match European diesels. The big ‘spindle’ grille – made even more outstanding during last year’s facelift, pictured here – makes this one of the first Lexi to show signs of an actual personality; the aggressively addendaed F-Sport spec might even be considered brooding. Confirming this newfound strength of character, F-Sport also features adaptive variable suspension (AVS), 19-inch alloys and rear-wheel steering as standard for a satisfyingly crisp driving experience. Prefer a more laid-back approach? Then try the fully-loaded Premier, which trades the 19s and rear-wheel steering for 18s and the fantastic Mark Levinson hi-fi. There was a lesser, non-AVS Luxury GS450h at first as well; all got sat-nav as standard, although the awkward remote touch controller takes some adjustment. Interior quality is almost unimpeachable, with billet metal accents and beautiful attention to detail, while reliability is every bit as good as Lexus’s reputation would suggest.